Joel E. Boxer Attorney Profile | Bird, Marella, Boxer, Wolpert, Nessim, Drooks, Lincenberg & Rhow, P.C. 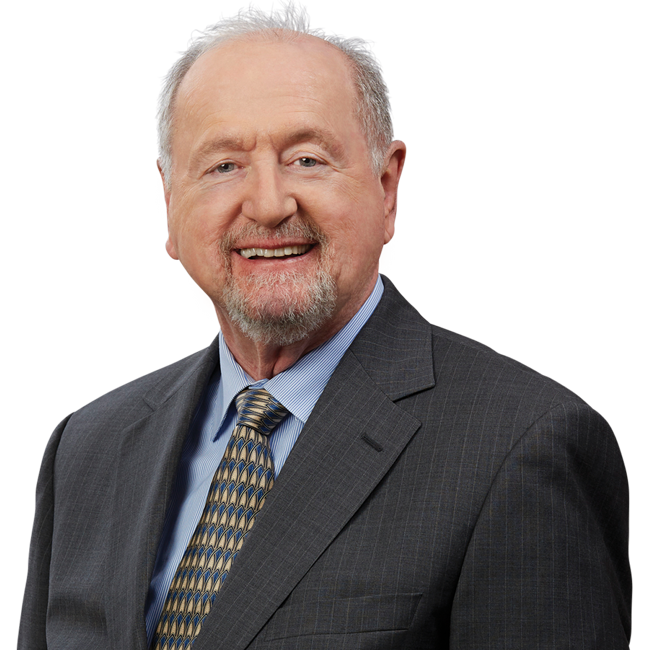 Joel Boxer, one of the founders of the firm, has 40 years of experience as a lawyer representing parties in complex civil trials in the state and federal courts, and in arbitrations. Mr. Boxer has particular experience and expertise in handling suits involving accounting or other complex issues requiring the presentation of expert opinion testimony. These cases often involve real estate, entertainment industry, contract, probate or trust issues or the representation of lawyers and law firms. Mr. Boxer has served as judge pro tem in the Los Angeles Municipal Courts, now consolidated with the Superior Court, as an arbitrator and as a neutral referee, and was a member of the Disciplinary Committee of the United States District Court, Central District of California. Represented successfully at trial and on appeal co-conservators who obtained a probate court order restraining a purported “manager” and a lawyer from claiming the right to act on behalf of the conservatee, Britney Spears. Later, defeated by non-suit motion during a jury trial all of the “manager’s” breach of oral contract claims asserted against Ms. Spears. Defended successfully at trial a national law firm sued for malpractice by a former client it had represented in an earlier partnership breakup trial. On the national law firm’s cross claim for outstanding fees due, the jury awarded the firm more than 100% of its claim for fees. Represented successfully at trial and on multiple appeals the trustee of a very substantial estate who established that a purported written amendment to a trust instrument was invalid and that the heir who advanced the amendment was disinherited because the heir’s conduct violated the trust’s no contest clause. Obtained a preliminary injunction for the owners of the “Chicken Soup for the Soul” brand against its former publisher for the publisher’s unauthorized proposed use of the brand’s trademark on unrelated book covers. Obtained for plaintiff in a multiple week retrial of the damages phase of a copyright infringement lawsuit what was, at the time, the largest monetary award for infringement other than piracy. Conducted a multiple-week trial that established that a neighbor in the Malibu hills trespassed on surrounding property by bulldozing the long dirt road over our client’s real property without the approval of the Coastal Commission or our client. We obtained a substantial money judgment for damages, which was upheld on appeal. The neighbor lost ownership of his parcel in the judgment-collection process. Represented the largest builder of commercial property in Central and East Los Angeles in a suit over ownership of a repurposed downtown landmark Los Angeles building. Established at trial, over the objections of a third party, our client’s right to sell it to a specific buyer, not the third party. In another matter for the same client, we established in arbitration the right of the builder to retain as liquidated damages the deposits made by two related buyers who backed out of their building construction and purchase contracts for pretextual reasons. Represented successfully in a Screen Actor’s Guild arbitration a talent agency whose former client, a child actor, claimed his agency agreement was invalid because it was entered into when the client was a minor. Represented an individual, a lawyer, who managed multiple businesses owned jointly with his former wife, also a lawyer; she claimed her ex-husband had breached his post-divorce fiduciary duties to her. At a three-week trial, we established that no further accountings were necessary, no monies were owed by our client and that the former wife was wrongfully in possession of jointly owned real property. Represented the heirs of a successor trustee and worked with an expert forensic accountant to reconstruct 10 years of missing trust accountings. At trial, we established that the estate of the now deceased successor trustee did not owe any money to the beneficiaries of the trust. Co-Author: “Major Pitfalls in Drafting Transactional Documents (A Litigator’s Prospective),” Beverly Hills Bar Association, 1988, 1990 and 1992 Editions. Vu v. California Commerce Club, 58 Cal. App. 4th 229 (1997) (proximate causation in the gaming industry). Seiler v. Lucasfilm, Ltd., 797 F.2d 1504 (9th Cir. 1986) (copyright infringement). Save the Dolphins v. United States Dept. of Commerce, 404 F. Supp. 407 (N.D. Cal. 1975) (Freedom of Information Act).